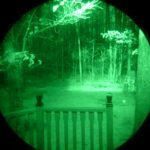 When it comes to Thermal Night Vision Devices, there are many variables for determining which ones are best. 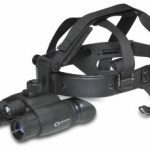 Monoculars typically cost less than thermal scopes, and scopes simply can’t live up to the great tech that good Generation 3 Thermal Monoculars offer. 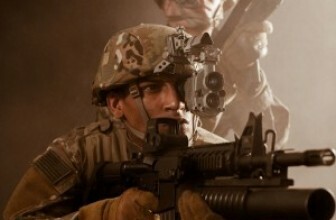 But when it comes to picking just one, the variety of choices makes it seem a little hard to decide, which is why tacxtactical team picked some of the best thermal imaging units, to help you make the best-informed decision. 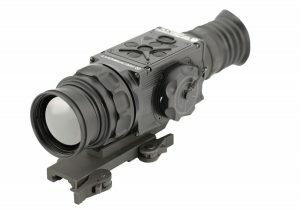 This is Armasight’s premier day/night thermal clip-on product that displays the best and latest in technological advancements when it comes to uncooled thermal imaging. 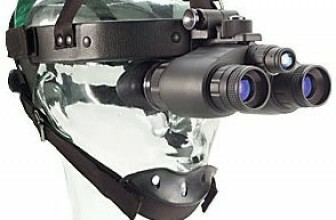 This device is perfectly suited for the dismounted soldier, law enforcement agents, and professional hunters. We love the fact that this thermal viewer is waterproof and can withstand water depths of up to 20 meters for up to 2 hours. 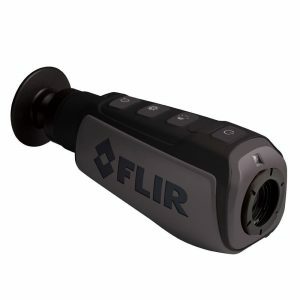 This solid-state, uncooled, long-wave infrared clip-on thermal imaging device is suitable for both day and night applications. With the added compass and inclinometer, the Apollo Pro is perfectly suitable for collateral duty functions. It also has a five-button wireless remote switch, which helps you easily operate and modify the settings, ensuring optimal imagery. What’s more is that it also has added Bluetooth wireless capability, so it’s able to directly interface with smartphones and makes for easily engaging a series of current and future applications. Like the Apollo Pro, the Zeus Pro 4 can withstand 20 meters of water for up to 2 hours, which shows right off the bat that this is a super durable thermal viewer. It comes available in either 336×256 or 640×512 pixel formats, and when combined with the 30mm, 50mm or 100mm Geranium objective lenses, this viewer gives you so much variety when it comes to optical magnifications and range performance. Characterized by simple and intuitive controls, features and functions, the Zeus Pro leaves the user in control of his viewing experience. With the addition of ballistic drop reticules, an electronic compass, and an inclinometer, the Zeus Pro is perfect for finer range estimations and target acquisition. Like the Apollo Pro, the Zeus Pro also has a remote controller and wireless Bluetooth capabilities. The design might look simple, but its performance is anything but. It’s powerful and effective and provides you with superior vision. 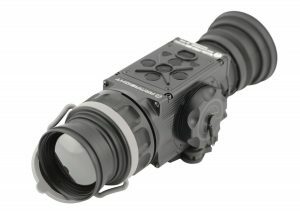 The high-resolution thermal camera with its e-zoom and InstAlert high-resolution display gives you sharp thermal imaging and up to 5X magnification. The simple operating features allow you to start up the device effortlessly and because it was designed for single-hand use, its very user-friendly. Because of its lightweight, portable and rugged, it’s ideal for applications on the move. It also fits most shirt pockets. 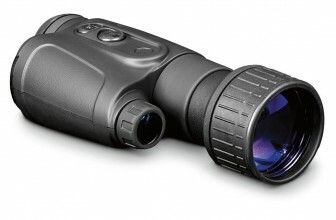 The Thor 640 5x 100mm is a multipurpose thermal viewer, coming in with the top of the line 640×480 technology. This is as close to the real deal you can get when it comes to near perfect thermal viewers. To add to its awe, it has an outstanding 2500 meter human detection capability. 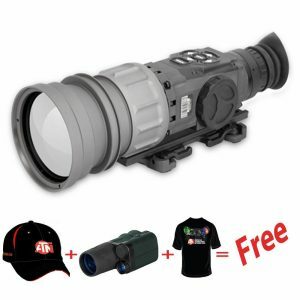 Most of us recognize ATN as the company who specializes in bringing you great night vision at the most affordable prices, and because the Thor is so rich in amazing features, it brings you the best value of any comparable system on the market today. We love the fact that the Thor is super lightweight and so small that it fits in the palm of your hand, but still very rugged and durable beyond belief. The digital menu gives you complete freedom of customizing your viewing experience. The really great thing about the Thor is the fact that it features a color OLED display, giving you a sharp color reticle. Even more impressive is the fact that the Thor has no screws or springs, so there’s no issue with your reticle moving off base. 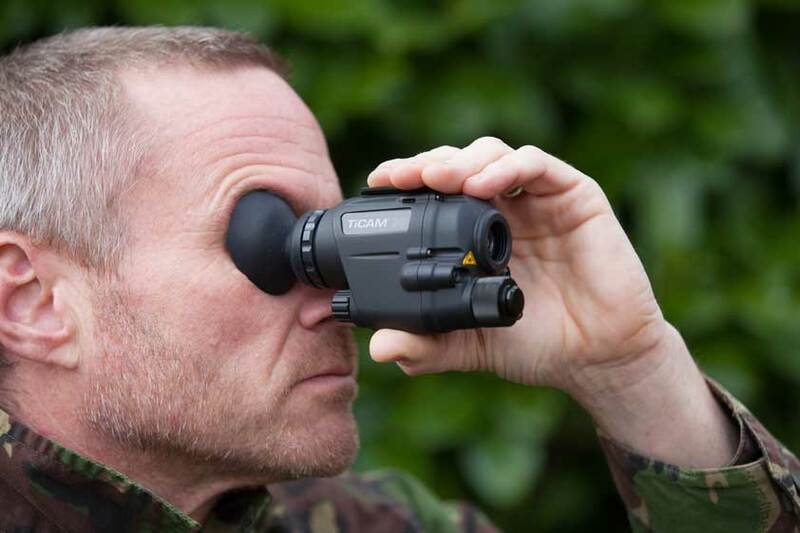 The ATN Thor can be used as a handheld device or as a multipurpose weapon mounted viewer, so it really has a lot of variety on offer. It’s the undisputed king of the world of digital thermal imaging.